This is a brand new lottery game launched in January 2018. Lotto Euromillions was established based on a European lottery Euromillions, using the same drawn numbers except Lucky star numbers. The principle of this lottery is identical with the one of Lotto Hotpicks. Each player may opt how many numbers he wishes to match. To win the main prize, players must match all numbers. The winnings are fixed. The more number you play with, the bigger your potential win. The maximum is five main numbers and the winnings amount to £1,000,000. In step 1 choose the number of numbers you want to match from 1 to 5 numbers. Next, pick your numbers from the range of 1 to 50. Same as in the main Euromillions draw, you can opt to select your own numbers or play a „Lucky Dip“ to let the computer pick a random set. Following the same procedure you will fill out the rest of the lines, the maximum in each slip (out of 10) is 5 lines. In the next step select the draw day, Tuesday, Friday or both days. Choose how many weeks you want to play. Finally, check whether the price corresponds with the items and confirm your bet. Draws are held throughout the year on Tuesdays and Fridays at 21 GMT. Tickets are accepted until one and half an hour before the draw. Each delayed ticket will be automatically included in the next draw. 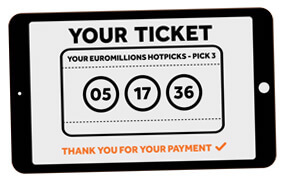 One line of Euromillions HotPicks costs £1.50, regardless of the number of picked numbers. You can play from your PC, tablet, cell phone or buy a paper ticket from one of numerous retailers across the UK. You can bet from the comfort of your home at the website of the National Lottery. Tickets online are available each day from 8 am to 11 pm. Technical maintenance windows are scheduled at night Alternatively, you can download the official app to your smartphone which allows you playing from any place around the world with access to the internet. Paper tickets are sold all over Great Britain. All what you have to do is to find a retailer offering official lottery tickets. 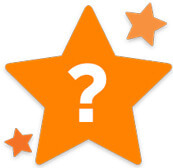 The way of collecting your prize depends on whether the ticket was bought online or from a retailer. The only condition is that all prizes must be claimed within 180 days of the winning draw. 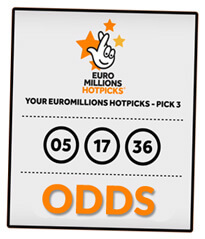 Prizes of Euromillions Hotpicks up to £500 will be automatically uploaded to your player account. Higher winnings (up to £30,000) will be uploaded to your debit card registered and validated on your player account. Amounts below £50,000 will be paid out by cheque, by transfer to your bank account (in case of INKASO payment method) or to a Pignit account. If you win more than £50,000 you must call line 0333 234 44 to agree on the collection of your prize. Amounts below £500 can be collected from any retailer across the UK. Winnings above this limit but below £30,000 must be collected from selected retailers and post offices. 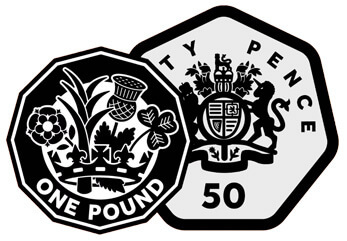 Amounts below £50,000 must be collected at a post office using a cheque (maximum in cash is £500). All winners are requested to prove their identity by showing two valid documents. Similarly to online tickets, all higher winnings must be announced in advance by calling the aforementioned phone number. The National Lottery announced the arrival of its Euromillions Hotpicks lottery at the break of 2018. The sale of tickets for the first official draw began on 25 January. The draw took place next day, on 26 January 2018 at 21 GMT.